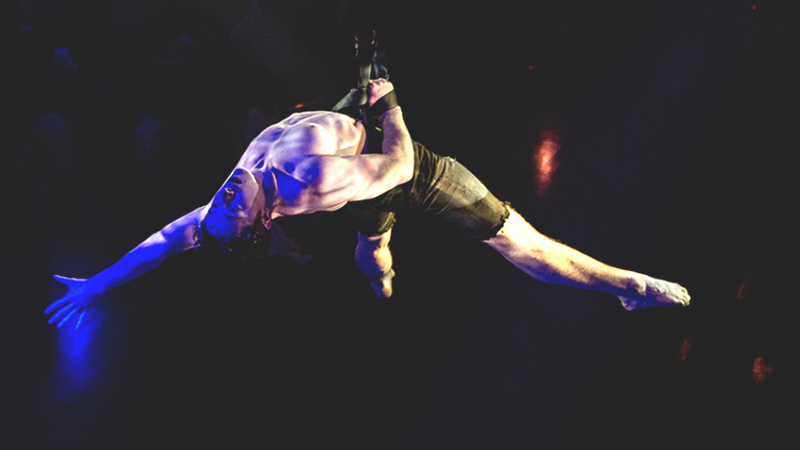 Circus Oz is delivering some real treats as part of the Melbourne Fringe Festival this year. The Melba Circus Hub in Collingwood is featuring some excellent local and international circus and cabaret artists. Dale Hutton’s Sirkus Circus was a delight for all ages, featuring impressive independent circus, cabaret and contemporary vaudeville. The Melba Circus Hub filled with thrill-seekers of varying ages as we spent over an hour with our mouths gaping at the death-defying and often funny performances. New Zealand’s Blingling Bros hosted our night with a series of laugh-out-loud mishaps interspersed throughout the astonishing performances. Jess Love was a fantastic opener, as she flung and strung, and energetically twisted her body through her hoop act. Love was a perfect way to start this line-up with her professionalism and charm. The audience was fired up and whooping with claps and gasps. As a Dale Hutton show, Sirkus Circus was a big tribute to the jugglers. Karl Laczko gave us a LED light show with his clubs that respond to movement, and Hazel Bock was an astonishing and unique wonder with her foot-juggling act. If you’ve never seen a flapper juggling a table, you’d have been in for a treat! The international star of the night and DOCH alumni, Tony Pezzo, delivered his famous five-ring-juggling act. With colourful clothing and a striking, energetic presence, Pezzo commanded our attention and closed the night on a buzzing high. Traditionally, circus is about bright colours and laughter. However in the 2015 Melbourne Fringe circus show Barbaroi, circus is transformed into a dark, gritty and dirty art form. Coming out of the darkness are shady characters and misfits of society… It’s an enthralling hour of entertainment from the seedy underbelly of the arts. The strong opening sequence sets the mood for the show with The Barbaroi (Avan Whaite, Stan Ricketson, Will Meager, Phoebe Carlson, Caz Walsh and Hazel Bock) entering and exiting the stage, completing various flips and tricks as they do. The lighting work during this is highly effective with six square spotlights on stage shaping the darkness, subsequently allowing the performers to be coming in and out of the shadows. The fast movements of the performers combined with the erratic but perfectly timed lighting choreography is a captivating sight. There is barely a lull in Barbaroi with the audience kept on the edge of their seats for its entirety. Bock steals the show with her two sets of foot-juggling, that are just gobsmacking in their skill. She also plays the femme fatale-esque persona with the right amount of sass and attitude, which results in her having a particularly strong presence on stage. Strong men Meager and Ricketson are amazing to watch during the teeterboard act – and not just due to their physique, as they achieve some phenomenal flips and twists. You would think The Barbaroi couldn’t make their acts any more difficult than they already do but then they turn the dial up even more and still breathtakingly succeed. Even Carlson’s bottle-walking act completely changes our expectations and its difficulty with just a simple action. Barbaroi is the type of show that requires an immense amount of trust and support from each of the performers. Throughout the show, those not directly involved in the act remain on stage and watch, reinforcing the idea that The Barbaroi are one team and depend on each other to succeed. The set-up between acts is well executed and along with the music played, emphasises the roughness and the “danger” of where we are and what we are witnessing. The clapping and cheering from the audience at the conclusion of Barbaroi’s opening night for Fringe was more than well deserved. There is a high calibre of talented circus performers on display that deserve to be seen by many people during this two-week run. 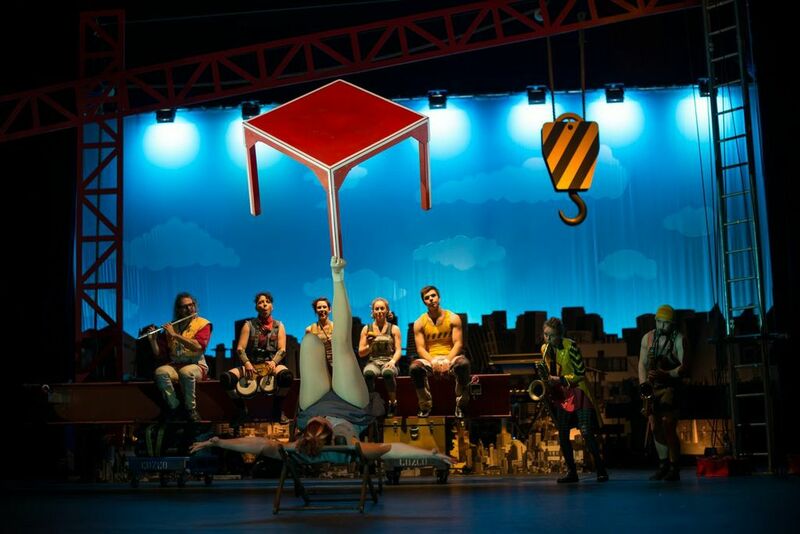 It is high-octane circus that will have your eyes transfixed on the stage and your heart beating at rapid speeds, until those spotlights finally go out.